The first three months of the year is a key time for travel brands to drive bookings, with communicators looking to get their destinations and trips recommended as widely as possible. But what’s the best way to go about working with journalists to get those valuable recommendations? 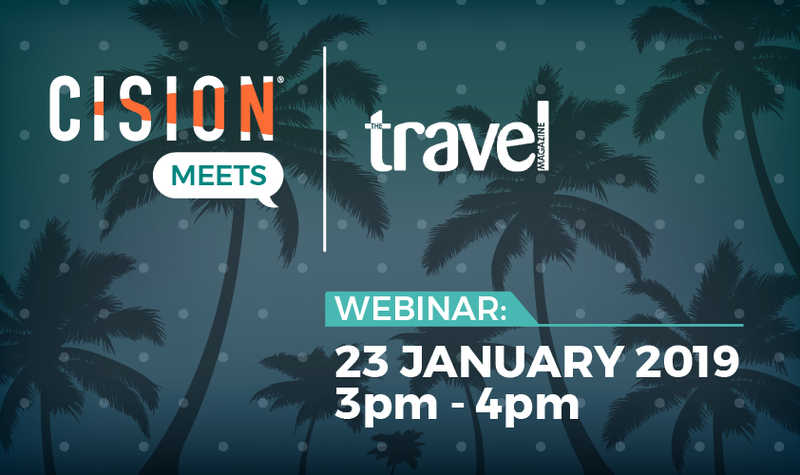 With that in mind, we’re delighted that Sharron Livingston, founder and editor of The Travel Magazine, is set to take part in our latest CisionMeets webinar on Wednesday 23 January at 3pm. The online title covers everything travel-related, ranging from airline strikes, travel guides, reviews and travel Q&As. Harnessing a Twitter following of 2.75m, The Travel Magazine is read by people aged between 25 and 54 on the lookout for new travel experiences. Led by Livingston, a travel expert who is a regular commentator on radio and television, the title aims to be a travel portal providing highly informative, upbeat and inspirational articles for people who love to travel.